Free and open to the public; all are welcome! After a short intermission, Havdalah and a brief Selichot ritual will follow. Potluck dessert reception & a chance to discuss the play will follow Selichot services. Free of charge; all are welcome. Please join us as we begin our High Holiday season with a reading of this beautiful & meaningful play! 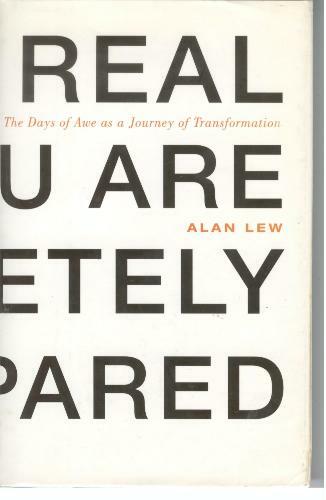 One of my favorite books to re-read during the lead-up to the Days of Awe is This is Real And You Are Completely Unprepared: The Days of Awe as a Journey of Transformation by Rabbi Alan Lew, may his memory be a blessing. These chapters take us through the journey of Elul (the month we’re in now), Selichot (the service which prepares us for the Days of Awe to begin — this year we’ll have a Selichot play at CBI followed by a very short-and-sweet havdalah and Selichot observance), and the rollercoaster ride of Rosh Hashanah. 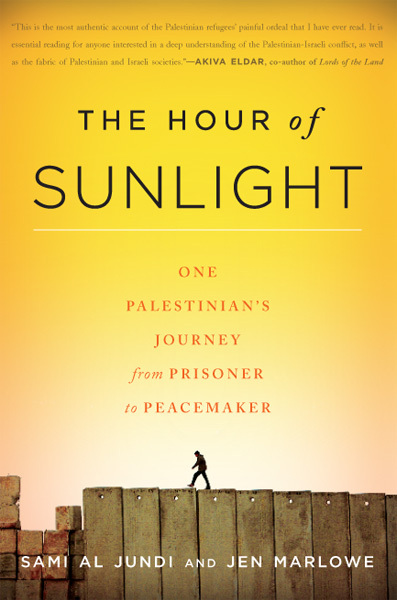 If you have a copy of the book, please consider reading chapters 4-6 and then coming to our Torah study this week (whether or not you also come to services — though hey, why not do both? ;-) If you don’t have a copy of the book, or don’t have time to read it this week, never fear: I will put together a handout which contains some choice quotes from these chapters so that we all have something we can discuss. Hope to see y’all this Shabbat for services and/or Torah study! This book really does put the Days of Awe into a beautiful and meaningful new perspective — I look forward to discussing it with y’all on Saturday morning. We’ve entered the month of Elul; Rosh Hashanah is four short weeks away! There are four practices which especially enrich my spiritual life during the high holiday season. I’m writing to invite you to join me in any and/or all of them. The first practice is attending Selichot services, this year on Saturday 9/8. 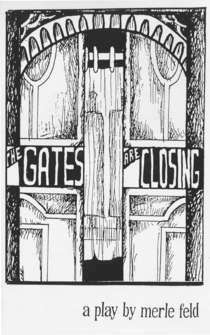 And this year we’re doing something extra-special — a staged reading of poet Merle Feld’s play The Gates Are Closing, directed by David Lane! The play is at 6pm and will be followed by a brief havdalah ritual (formally ending Shabbat) and a very short-and-sweet Selichot experience designed to open our hearts to the process of teshuvah, atonement or re/turning-toward-God. Then we’ll socialize over dessert and coffee. This is one of my favorite services of the year. It’s a beautiful way to begin the Days of Awe, and this year’s play is going to make it even more special. Please bring your own towel, and please rsvp (rebrachel@cbiweb.org) so we know how many participants to expect. I’ll be wearing white all through Yom Kippur, as will our cantorial soloist David Curiel. If you find meaning in this idea, I hope you’ll feel welcome to join us. And the fourth practice is doing a little bit of gentle restorative yoga on Yom Kippur afternoon, to help me open my body and my heart to the experience of the day. We plan again to offer a gentle yoga practice on the afternoon of Yom Kippur, starting at 3pm, before our afternoon mincha service. The yoga practice will be suitable for those who are fasting. The Sanskrit word “yoga” can be translated as “union,” as in reaching a sense of the unity of all creation; it can also be translated as “yoke,” as in something which binds us to one another. Yom Kippur is a day for union with the One and for mindfully and joyously accepting the “yoke” of Jewish practice. Many communities offer restorative yoga on Yom Kippur; I’m delighted that this year, we will once again be one of them. If you have questions or comments about any of these, please don’t hesitate to ask me. And please remember that these are options, not obligations; if they don’t speak to you, feel free to skip them. May your Days of Awe be meaningful and sweet! I look forward to seeing you at CBI. Here’s the d’var Torah I shared yesterday morning at Shabbat services, crossposted to Velveteen Rabbi. See, this day I set before you blessing and curse: blessing, if you obey the commandments of the Lord your God which I enjoin upon you this day; and curse, if you do not obey the commandments of the Lord your God, but turn away from the path that I enjoin upon you this day and follow other gods, whom you have not experienced. That’s how the JPS translates the beginning of this week’s Torah portion: Deut. 11:26-28. I like to read it slightly differently. with whom you don’t have a personal connection. In my reading, Torah isn’t telling us that if we follow the mitzvot we’ll receive blessing and if we fail to follow the mitzvot we’ll be cursed. As in, do the right thing and you’ll be rewarded, do the wrong thing and you’ll be punished. Torah is telling us that following the mitzvot is, itself, the blessing. And that being alienated from our Source is, itself, the experience of being cursed. The word mitzvah — you probably know this — means commandment. You may or may not know that it’s related to the Aramaic word tzavta, which means to attach or join. Mitzvah can be understood to mean not only commandment, but also connection. I love the idea of the mitzvot as connections. They connect us with God. They connect us with our tradition. They connect us with other human beings and with the earth. They connect us with ourselves. The classical Jewish tradition identifies 613 commandments. 248 of them are positive commandments — do this, do that — a number which our tradition considers equivalent to the number of elements in the human body. 365 of them are negative commandments — don’t do this, don’t do that — and that number is understood to be equivalent to the number of blood vessels in the human body. One strand of the tradition teaches that if you have an ailment in your body, you should consult a hakham — one who is wise in these matters — who can tell you which mitzvah is associated with that part of your body, so you can do the mitzvah and thereby become healed. Does this sound far-fetched? It might. But I find it very beautiful. 613 may be a daunting number to approach. Some of the mitzvot outlined in Torah were only possible when the Temple was standing. So I invite you to set aside your perfectionism. Even if we can’t necessarily do all 613 mitzvot, we can still aim to live in a way which connects us. The mitzvah of daily prayer is connective. Say thank you to God for the food which sustains you; say thank you to God for waking up alive in the morning; on weekdays, ask God for what you need, because articulating your needs to God can be transformative even if you don’t believe that a literal response is going to come your way. Say the bedtime shema and reconcile yourself with each day’s actions before you sleep. The mitzvah of making blessings is connective. Bless bread, bless wine, bless the rainbow, bless your child, bless a stranger you meet on the street. The mitzvah of sanctifying time is connective. When Shabbat arrives, let go of your workday consciousness. Gather the light of the candles into your heart. Stop rushing and planning and doing, and take one day of the week to emulate God and to rest, to just be. Celebrate the holidays and festivals: eat apples and honey and hear the shofar at Rosh Hashanah a mere month from now. Fast and connect with God on Yom Kippur. Rejoice in a sukkah during Sukkot. Each of these mitzvot connects you with millennia of history, with Jews around the world today, with God, and with a deep part of yourself. You can’t do mitzvot without knowing what they are. So in order to gain the benefit of living the mitzvot, you need to experience the mitzvah of Torah study. And the more you learn, the more you’re able to do; and the more you do, the more connected you are; and the more connected you are, the more blessing you receive. The Torah verses I read earlier include the idea that the curse comes when we turn away from God’s path and follow other gods whom we have not personally experienced. Some of us may not feel that we’ve ever experienced our own God, much less anybody else’s. We may not feel that we know how to have a direct experience of God. But I invite you to consider that you can experience God — you can experience a connection with the Source of all Being — whenever you do a mitzvah, whether an ethical one (such as cooking for Take and Eat) or a ritual one (such as lighting Shabbat candles.) You can experience a connection with the Source of all Being when you feel love for your parent, your child, your spouse, your friend. You can experience a connection with the Source of all Being when you walk in the woods, or step outside our sanctuary, and become aware of the birdsong and the glory of the mountains. When we do these mitzvot, we feel connected to God, and that’s our blessing. When we turn away from this path, and become distracted by the constant chatter of email and twitter and Facebook and obligations; when we imagine that our to-do list at work is more important than really connecting with our family on Shabbat; when we value money and privilege more than we value kindness and caring — then we’re disconnected from God. There’s an old joke which says that heaven and hell are both dinner parties, both featuring people sitting around a table with incredibly long forks. In hell, each person spears their own food with their own fork, and then can’t reach their mouth, and goes hungry. And in heaven, each person spears some food and feeds it to someone across the table, and in this way everyone is fed, and there is joy. It’s kind of cartoony, and it doesn’t match the Jewish conception of heaven or hell, but I think it speaks to this week’s Torah portion. When we ignore the mitzvot, when we think only of ourselves, we go hungry. When we follow the mitzvot, when we feed one another, we receive the sustenance we need. In this episode of the VR Podcast I talk about the lunar month of Elul, explore some ideas about teshuvah (repentance / return), share Rabbi Zalman Schachter-Shalomi’s translation of Psalm 27, and close with a blessing for you for the month to come. You can listen online, or download it for later listening, or subscribe via iTunes, at Velveteen Rabbi here: VR Podcast 4: Elul and Teshuvah. Enjoy, and Shabbat shalom! This weekend we’ll reach Rosh Chodesh Elul, the beginning of the new lunar month whose name can be read as an acronym for the phrase ani l’dodi v’dodi li – I am my Beloved’s, and my Beloved is mine. This is the month when we are invited to relate to God as the divine Beloved, to wander in the fields with God and share quiet conversation, to turn toward our Beloved again and strengthen our relationship as we move through this final month before the Days of Awe. May this melody be sweet in your mouth and in your heart as we approach Rosh Hashanah!